Now that you have your iPhone or iPad, you’re probably very excited about it and installed your favorite social media apps. One of those apps, aside from FB, might be Twitter. So you Log In to your Twitter account and Tweet some messages. At the end of the day, you want to sign out or log out from your Twitter Account. Opps! There’s no log out button? And there’s no manual about it. 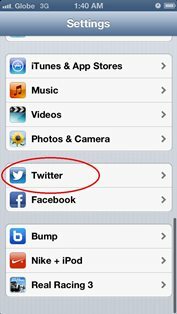 In this article I’ll show you Two ways on how you can completely log out from your Twitter account in your iPhone or iPad. 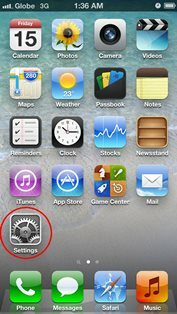 Note: Although the title of this article is referring to the latest iPhone 5 and iPad 4, the methods below will work on previous models like iPhone 4S and iPad 3 running on similar iOS version. 2. From the settings menu, scroll down until you see Twitter. Usually it’s with other social media like Facebook. 3. 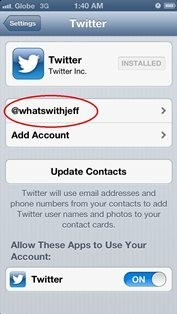 Select Twitter, and within the Twitter settings locate your account name (if ever there is more than 1 account registered). 4. 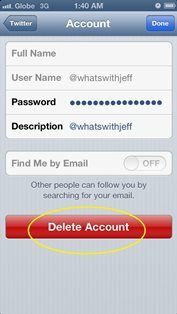 After selecting your account name, you will see a big red “Delete Account” button below. 5. Confirm deletion and your done. Open your Twitter app and see if you were log out from your account. If method one did not work, try method 2. I’m sure this method will surely log you out from your account, if ever the first method did not work. 1. Open your Twitter app (I’m referring to the icon on your home screen and not in the settings). 2. From Twitter, hit the “Me” option located below. 4. From there, select your Twitter account and hit the Edit button below. 5. Delete your account by hitting the red minus button and remove. That’s it! After deleting your account, you should automatically be log out from your Twitter account. Again, this methods works for both the iPhone 5 and iPad 4. If you want to know more lessons about your iPad, check out the iPad Video lessons here. 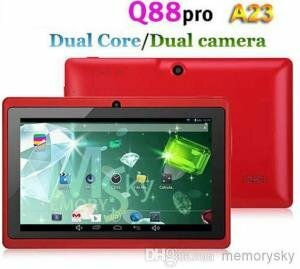 These video tutorials/manuals are also great for senior people.